All of this Hike was on trails we had made many times before. 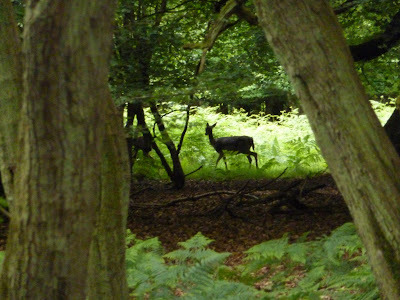 We did not expect to see loads of Deer but we come across a herd in the Woods on the Ashridge estate. There has been Deer on the estate since the 13th Century, and Fallow Deer were introduced for fresh meat, to feed a monastry that was there at the time. 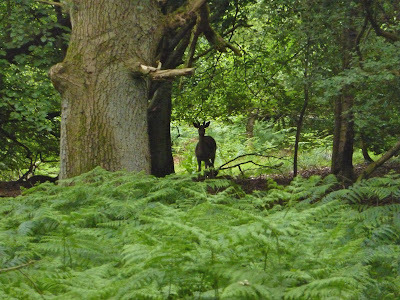 I am not 100% sure on species of Deer, but I think that we came across Roe deer not Fallow deer, if anybody knows difference please get in touch with me. We found this Burial Mound on the Os map so we thought we would have a quick look at it. I Cannot find much information about it on the net but its on the map. 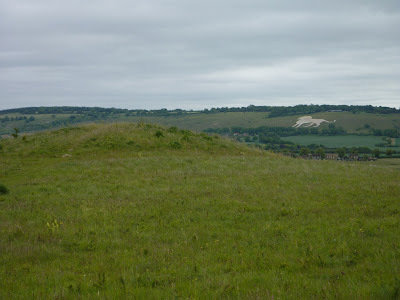 This part of the chilterns is full of archaeology, again if anybody can send us info please do.